They and their parents also hope anxiously that at least a few of these schools will be reasonably affordable. In the back of everyone’s mind is the dark worry that perhaps it won’t work out. What if I don’t get in anywhere? When writers rant and rave about how hard it is to get into college these days, they tend to focus on how schools like Harvard and Stanford now accept fewer than 6 percent of applicants, or how former safety schools have suddenly become competitive. But…looking at admissions rates for individual institutions is misleading if you’re interested in figuring out the odds of getting into a good college in general. That’s because high school students, ever fearful of rejection, and assisted by the common app, are applying to more colleges than in the past. That’s driven acceptance numbers down. Beyond that, many of the kids taking a shot at the University of Chicago or Wesleyan or the University of Michigan simply aren’t qualified, so they aren’t really making the process any more competitive than in the past for students with high grades and SATs. For students who are reasonably qualified, it’s not much of a struggle at all. 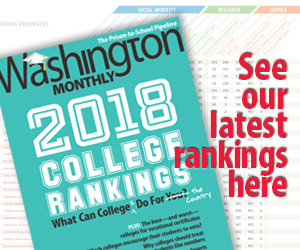 [For] students with SAT scores above 1300 who applied to one of the 113 most selective schools in the country… the average admission rate for these schools was 32 percent. But the ace test-takers managed a 51 percent rate. And overall, eight out of 10 got into at least one of those 113 top institutions. The information here comes from an article by frequent Monthly contributor Kevin Carey in the New York Times, where he points out that the single digit admission numbers reported by Princeton and Brown are a little misleading. These schools are famous, so lots of people apply there who have no chance of getting in. But for those with good grades and relatively high SAT scores, their chances of admission are pretty good. Another important aspect of this story is that high-achieving high school students apply to lots of good colleges, and most of them are nowhere near as selective as the Ivy League. 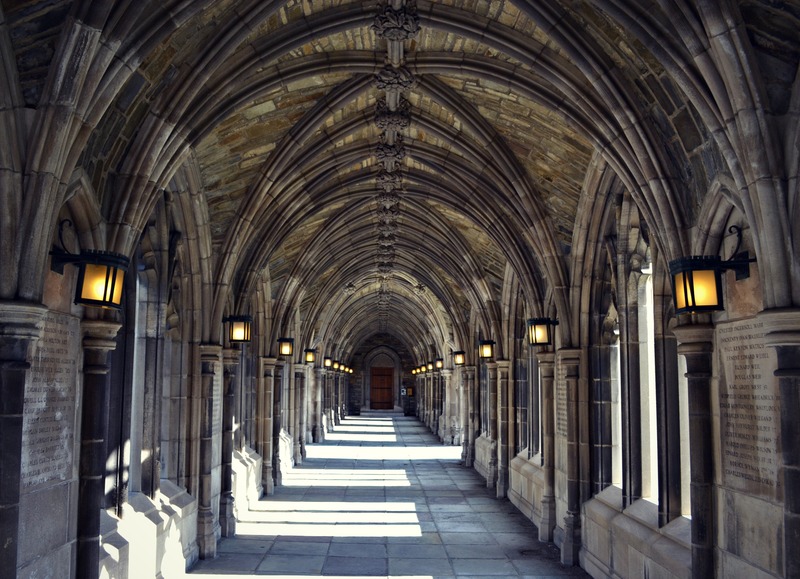 Indeed, the 113 top institutions include the University of Rochester, the University of Richmond, the University of Miami (which admits 41 percent of applicants), and many of America’s state universities. What this really looks like, indeed, is a story about social class. Sure, rich kids worry about getting into really fancy colleges, but in a larger sense they have no trouble at all getting into a pretty good college somewhere.